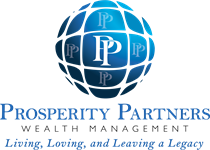 Anthony Bartl originally joined Swofford Financial (Now Prosperity Partners) in May of 2008 and is pleased to serve as Director of Operations. He is responsible for the day-to-day operations of the office and ensuring that we are working as efficiently and effectively as possible to serve our clients' needs. 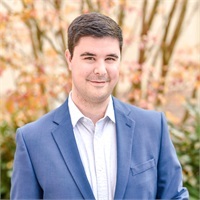 In addition to reviewing and evaluating the firm's processes and procedures, Anthony is also responsible for preparing information for client review meetings, managing our company goals, tracking revenue and expenses, and ensuring we comply with the industry's rules and regulations. He also assists with client service needs and new business preparation as necessary. Anthony has obtained his Series 6 and 63 licenses and is considering pursuing additional licenses as necessary. One unique trait Anthony brings to our company is his desire to always be learning something new or improving the way we do something. This allows us to continually enhance the services we offer to our clients and develop those strong relationships over time. In his downtime, Anthony is an avid fan of the TV show The Office and can quote most of the episodes. He enjoys continuing his personal development by reading, particularly books related to Productivity, Business Process Management, and Self-Improvement. He has also recently begun studying computer programming and hopes to one day develop his own software or application to assist with his job duties. His next major life goals are to purchase a home and travel to Sweden and see the Northern Lights.